First, how did it get to be October 27th? Good grief! This year is flying by at warp speed. 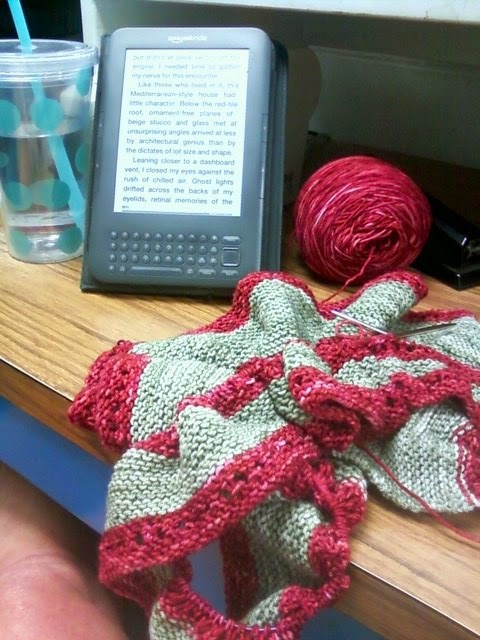 I was able to squeeze in a little knitting time while at work over the weekend. Eclipse is a wonderfully simple, meditative project. The perfect knitting project to work on while reading Odd Thomas. Not that the two have anything to do with each other. It's just that it's easy to read and knit on the Eclipse while at work.